Paul Highton ready for the off on Ride to Rio! Paul Highton ready to Ride to Rio! 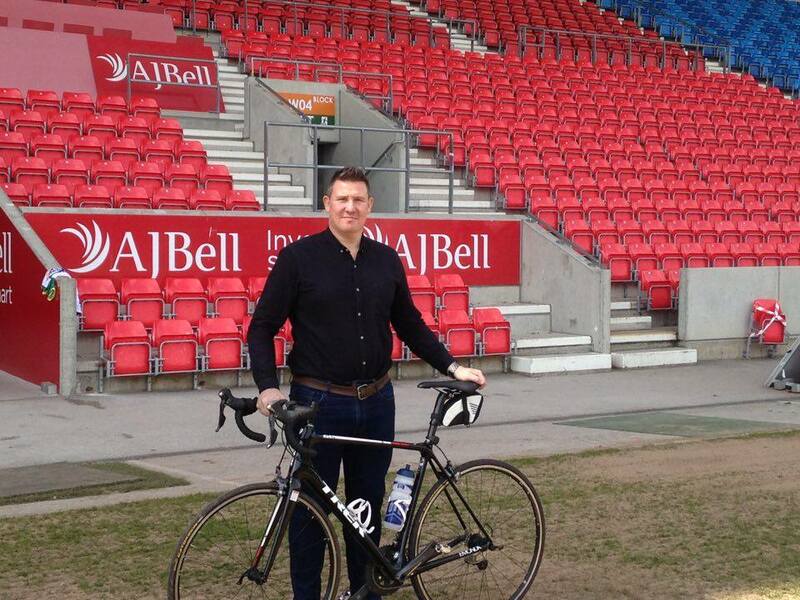 Highton, who played for Salford for over 10 years, is taking part in the 6 week ride to raise money for Rugby League Cares and The Jane Tomlinson Appeal and will set off alongside a team of riders including former Great Britain international Keith Senior on Monday (27th June). The group will start of from London on Monday, and ride to Southampton from where they will catch a ferry to Le Havre in France. Following this they will cycle south through France and into Portugal, where they will fly to Recife in Brazil. The team will then cycle south following the Brazilian coast line, arriving in Rio on the 3rd of August, in time for the opening ceremony. The Salford Red Devils Foundation are supporting Paul and the team by hosting a ‘Virtual Ride to Rio Charity Cycle Challenge” at the intu Trafford centre on the 29th and 30th of July. The event will give people the opportunity to take on a number of corporate and junior cycle challenges, raising money for the Jane Tomlinson Appeal, Rugby League Cares and Just Josh in the process. There are office bragging rights to be earned and prizes to be won as we look to replicate just some of the distance covered by Paul and his intrepid team.